[In 2004,] members of the Aethos team acted on behalf of a group of investors to evaluate an investment opportunity to incubate a start-up company seeking to provide state of the art MPL training (Multi-Crew Pilot License) for commercial airline pilots. Members of the Aethos team evaluated the investment opportunity and conducted the initial due diligence assessment. This included assessing the target’s market environment and analysing its positioning, reviewing competitor interest and the level of market volatility, and evaluating the existing management team’s suitability for utilising new capital to successfully expand and consolidate the company within its market environment. Following an assessment of the target’s strength, members of the Aethos team supported their client’s acquisition of a controlling stake in the company, guiding and advising on the investment structure with the aim of growing the client’s overall portfolio in the sector. The successful effort also included members of the Aethos team conducting commercial and legal due diligence assessments for the added acquisition of an existing pilot training organisation based in the United Kingdom and the establishment of two additional training platforms in the Middle East and Asia. After the successful acquisition Aethos Managing Director Cherian Thomas supported the client investor group as a representative on the board of directors of the company and of its subsidiaries, providing periodic reporting and acting as investor liaison to the management team. Cherian and other members of the Aethos team also delivered corporate, project management and transactional support for the investment, including the provision of strategic direction and operational decision-making support. Members of the team actively supported the management in restructuring the business. They dealt with key suppliers, banks and customers, and they assisted in contract negotiations in connection with simulator and aircraft acquisitions, licence agreements and loan agreements. They also supported business development activities, including the physical and administrative set-up of corporate and subsidiary offices in other jurisdictions, recruiting managerial staff, assisting in employment contract negotiations and implementing effective and relevant policies, systems and procedures. Some members of the team had roles at the board of the parent and subsidiary companies, guiding the drawing up of business plans, devising budgets and executing business strategy. With the guidance and support of several Aethos team members, the company has developed into one of the largest global independent providers of MPL training, with its solid training platforms serving growing aviation markets in the Middle East and Asia. More than 400 pilots trained under its MPL programme are now serving as Captains and First Officers in various airlines around the world. The company has also successfully expanded its services to provide expert type-rating training programmes for various airlines, The Asian platform has developed substantially over recent years and is now able to offer comprehensive pilot training solutions from basic flight training to type-rating on narrow and wide bodied aircraft. Aethos’s Managing Director, Cherian Thomas, continues to act as an investor representative on the board of directors of the parent company and various subsidiary companies today. As various members of the Aethos team had previously enjoyed a successful and mutually beneficial relationship with the start-up aviation training company, Aethos have since been formally appointed by the client to provide strategic consulting and investment monitoring services. Having developed an in-depth understanding of the business’s market environment and positioning through team members investment advisory services, Aethos continues to provide unique support to the senior management team when reviewing growth objectives; conducting pragmatic and extensive analyses of the businesses existing operations and structures; and advising on programmes of value enhancing initiatives predicated on the outcomes of their analysis and advice. 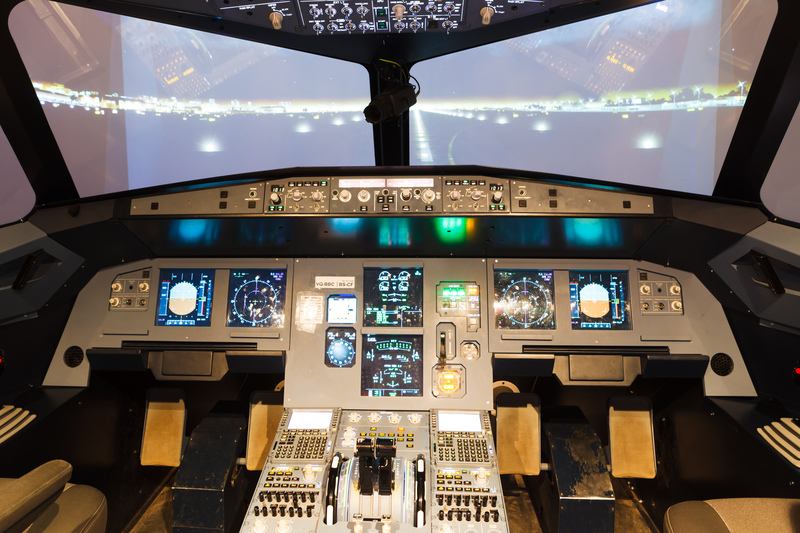 The team regularly provide the company with project management and transactional support, including conducting negotiations with airline clients on training and simulator utilisation agreements, financing arrangements with financial institutions, simulator purchases and acquisitions. In conjunction with this, Aethos provides active guidance on risk management, working with the senior management team and conducting assessment workshops aimed specifically at improving C-suite executives’ abilities to identify and effectively deal with potential operational and reputational weaknesses. For any associated recommendations Aethos identify through these workshops, the team support the executives in addressing and implementing any consequential organisational review and development procedures. Aethos’s Managing Director, Cherian Thomas, continues to sit on the company’s board of directors as the investor representative. Cherian continues to provide guidance and vision to the CEO and management team in respect of defining and reviewing the growth strategy and business plans.